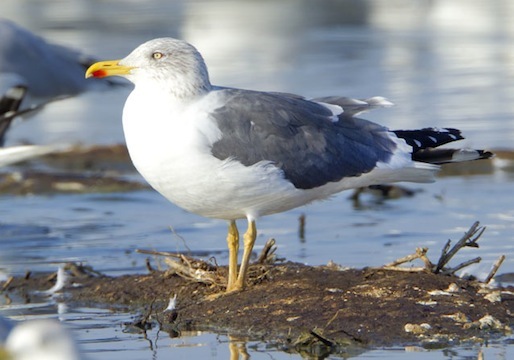 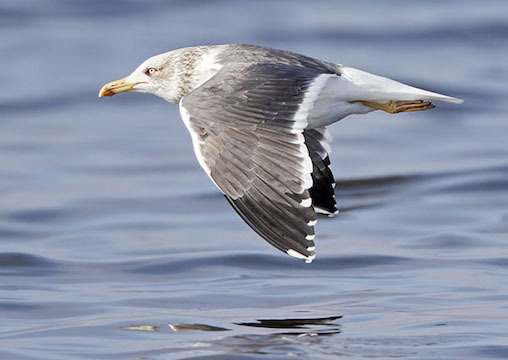 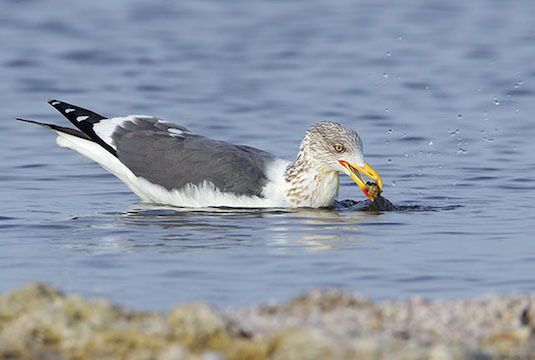 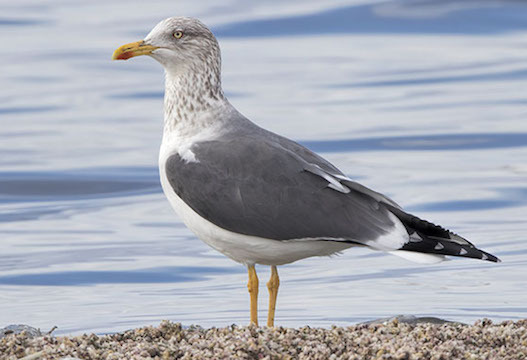 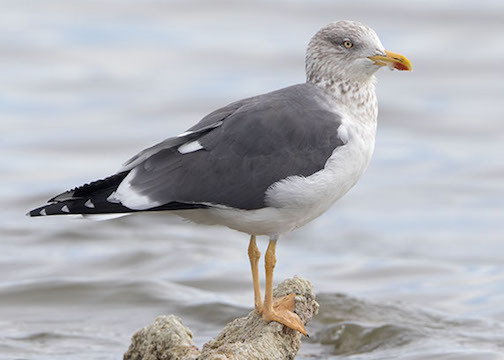 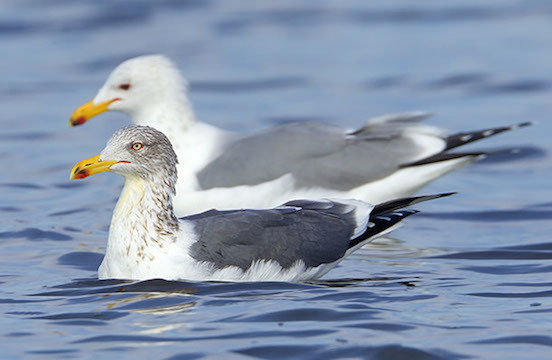 Lesser black-backed gulls are a European species, but small numbers visit North America, especially in winter. 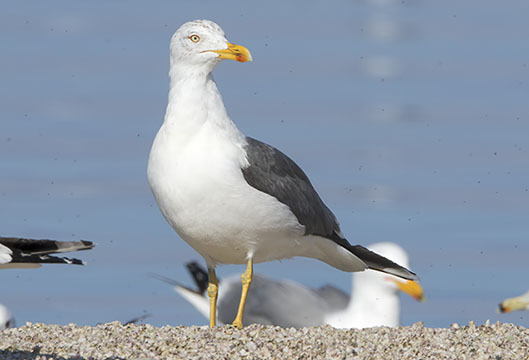 As expected from their North Atlantic breeding range, they are more common on the east coast of the US than out west, but some visit California. 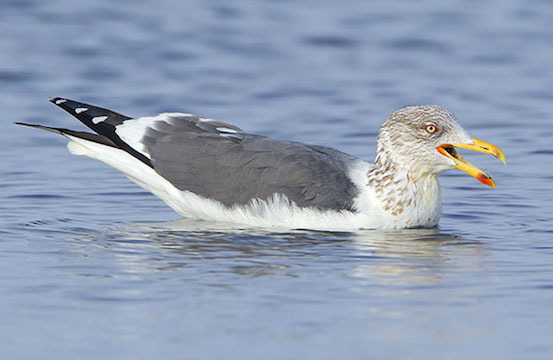 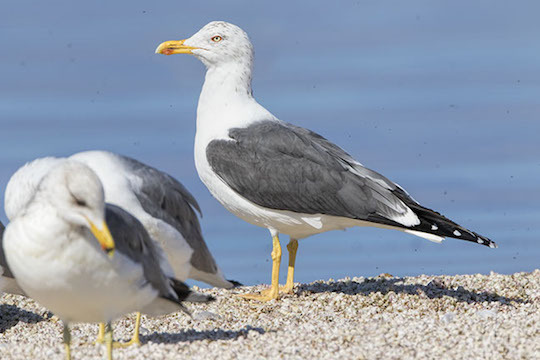 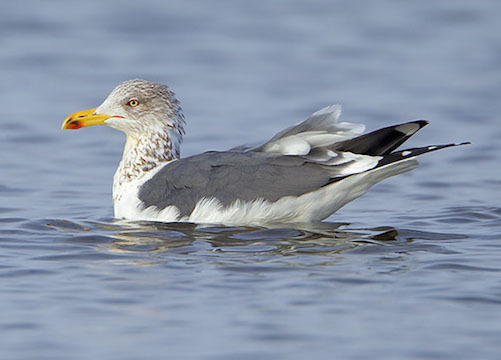 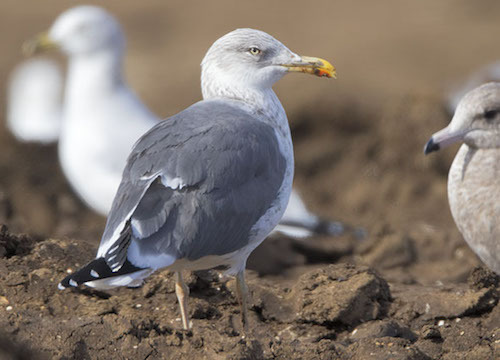 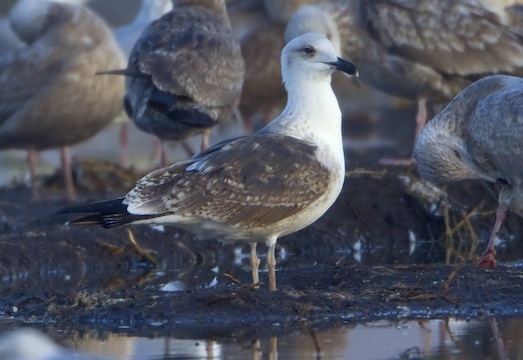 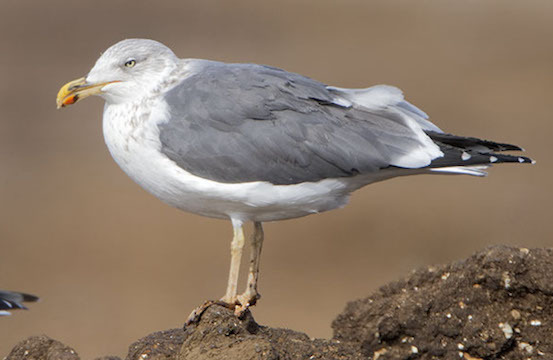 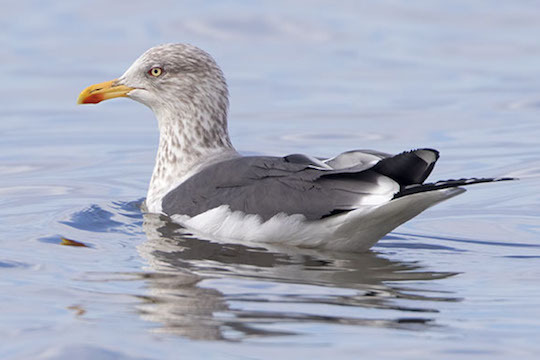 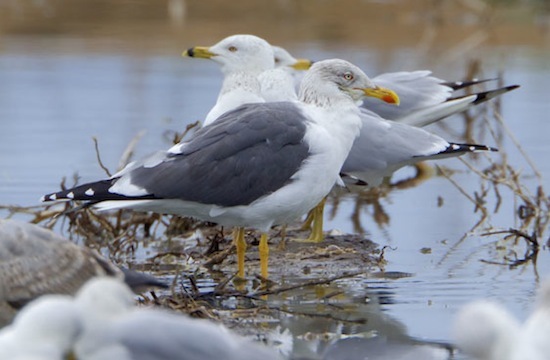 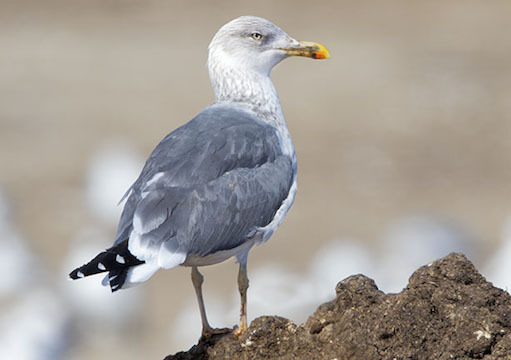 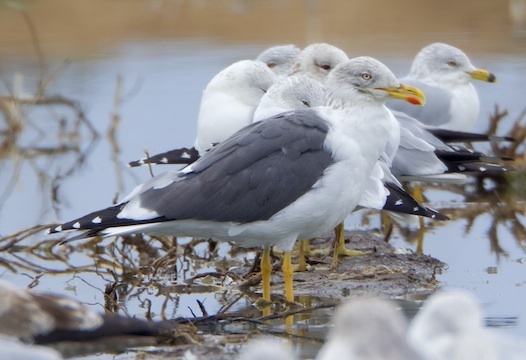 Adult lesser black-backs look like western gulls but are smaller and have yellow legs; in winter they have heavily streaked heads and necks. 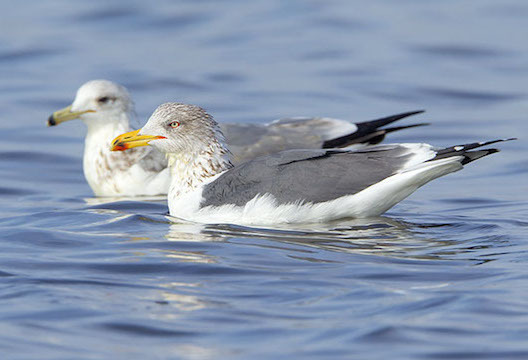 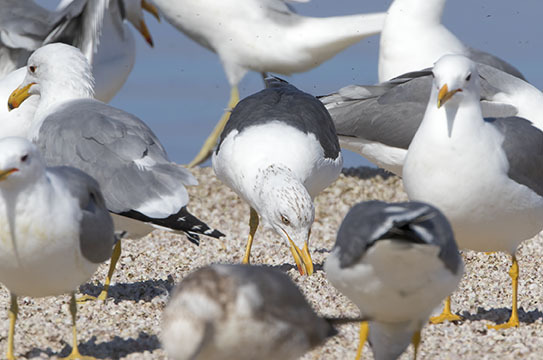 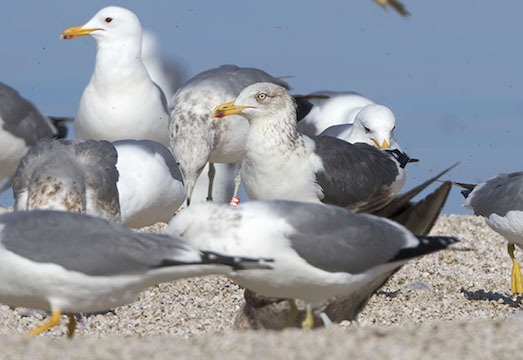 To complicate matters, there are two subspecies that differ in how dark the back feathers are, and one of the gulls shown here is noticeably paler than the others. 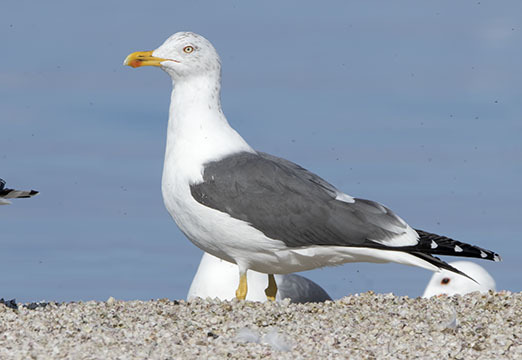 Lesser black-backs can also be confused with California gulls but have pale instead of dark eyes. 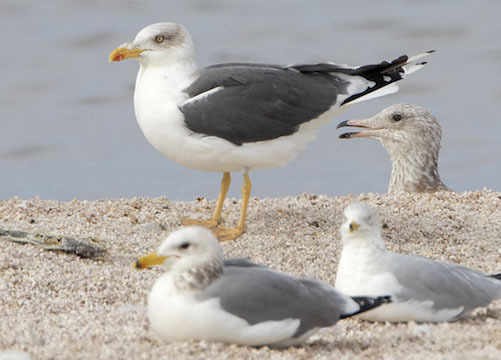 These birds, adults and a juvenile, were photographed near Lakeview and on the Salton Sea, both in Riverside County, California. 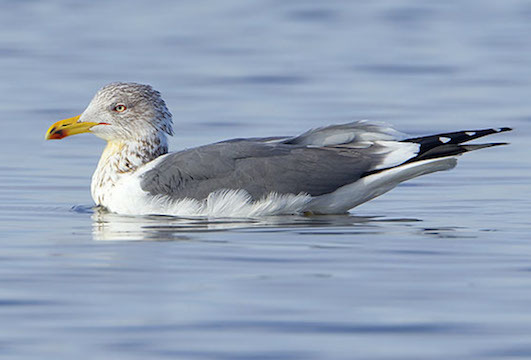 They were all fairly shy, so many of these photos are highly cropped.